Below is a blog post I read this week that I thought was well worth sharing. We are a couple of years into a lean transformation and at first it seemed that the tools were the main thing - now it is clear that the people are the main thing. As I work with various organizations on their Lean transformation, it amazes me how many organizations start out believing that Lean is all about implementing a set of tools. They believe that if we only implement these tools, then we’ll be Lean. Often times, I see this develop into implementation lists and audits which check to see how well the tools have been implemented. Sometimes companies carry this one step forward to sending out “Corporate Auditors” with the goal of having a standard set of people to calibrate the audits so the audit scores are valid. What these organizations miss is that only 10% of Lean is about the tools. The remaining 90% is about people and culture. It’s about engaging people at all levels of the organization to solve problems so that every day we get a little bit better and drive more value to our Customers. What does this have to do with Leaders? Tools can be managed but people need Leadership if they are going to change their behaviours and truly start to change the culture. Leaders need to exhibit these new behaviours. This follows the old adage “What you do is what you get.” What Leaders do is amplified many times over in the organization. Small changes in Leadership behaviour can have an enormous impact on changes in Team Member behaviour in the Value Stream. But how do Leaders know how to behave in a Lean world? As Leaders begin to change their behaviours based on these Mental Models, the rest of the organization picks up on it and more and more people become engaged in solving problems to root cause rather developing work arounds. Business results start to accelerate and Lean becomes locked into the culture of the organization. 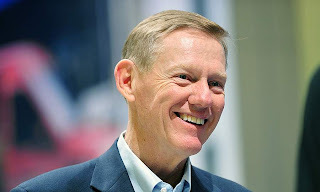 Alan Mulally is an incredible executive. 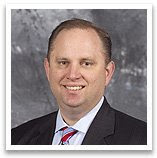 He is credited with keeping Ford out of the doghouse during the past couple of years. Below is an article from USA Today which shows why Alan is so effective - he brings problems to the table and deals with the problems. This sounds like an obivous tactic but it is not often used. Enjoy the article. Ford CEO Alan Mulally recounts an episode that makes him certain Ford has broken unworkable old ways and is locked and loaded for the future. In one of his Thursday management meetings, where managers are supposed to show color-coded charts, red for serious problems, yellow for lesser issues, green for all OK, "all the charts were green and I know — we're going to lose $17 billion. I stopped the meeting and I said, 'Is there anything that isn't going well? We're losing $17 billion.' Eye contact goes down to the ground." "I looked around and said, 'Is there anything we can do to help'" resolve problems Fields was having launching the Ford Edge. A dam burst. Other managers started tossing out solutions to similar problems they'd had. Even so, managers took two weeks to follow the Fields example. "Next week everybody still was green, but (two weeks later) the entire 320 charts (of all the managers) looked like a rainbow. Everybody knew it was safe" to ask for help. "At that moment I knew, and everybody else knew, that we had a chance now. You can't manage a secret. It was all out in the open. And everybody was committed to helping everybody else." Interesting blog post from Jack Daly. I think we all need to train our people to realize everyone is in sales in that we all impact the customer. Airlines losing money, as normal course of biz. I recently sat on a flight that was 30 minutes past departure time, and there was zero communication to the passangers (also known as customers, the people who create the revenue). 4 flight attendants were standing 3 rows up from me in the bulkhead, having a jolly good time with one another, catching up with who knows what. Meanwhile, the customers (many who missed connections the previous day due to weather and were anxious to get on to their destinations) are ignored. I wondered if the owners/managers of the business were present if the flight attendants behavior would have been different? What if the flight attendants were outside their business and were now the customers, being ignored by the store they were considering shopping in. Would it affect their purchasing attitude? Would they share their negative experience? Is it any wonder the airlines as an industry are losing money? So, now, let’s look to your business. What messages are the people in your company sending to their customers on a regular basis? Create a system to ensure you know regularly and that all can be consistently aware. We are all in sales, just don’t realize it enough.